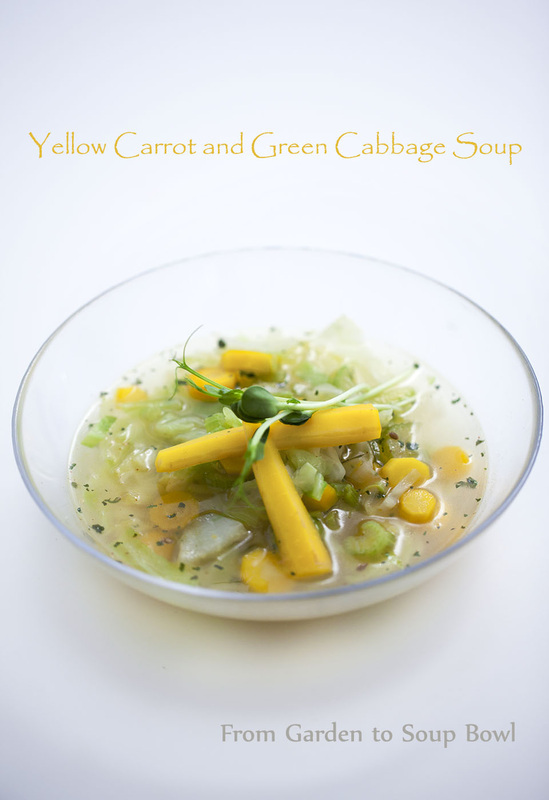 For this soup I would recommend you to use fresh, organic vegetables from your garden or farmers market. 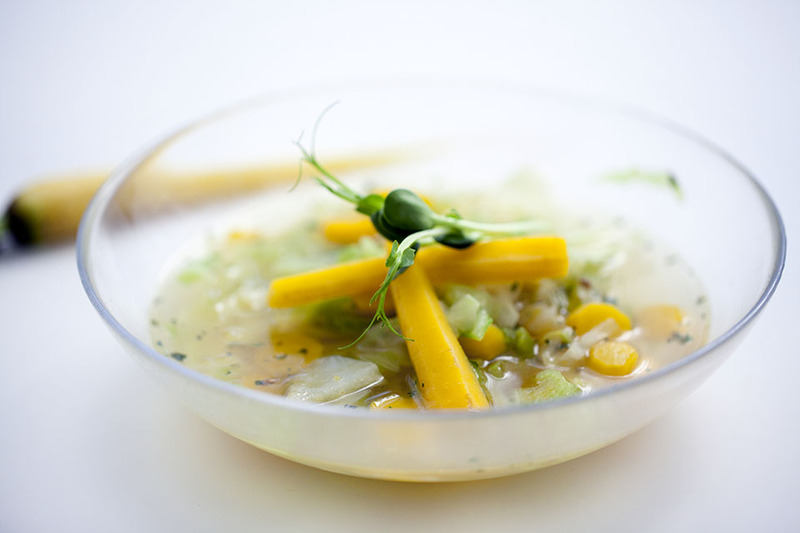 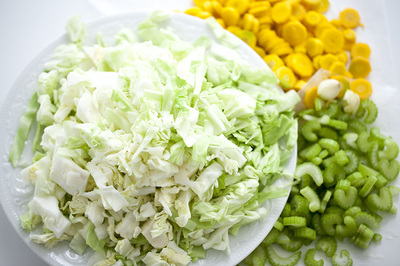 Fresh vegetables need less cooking time and give this soup rich flavor. 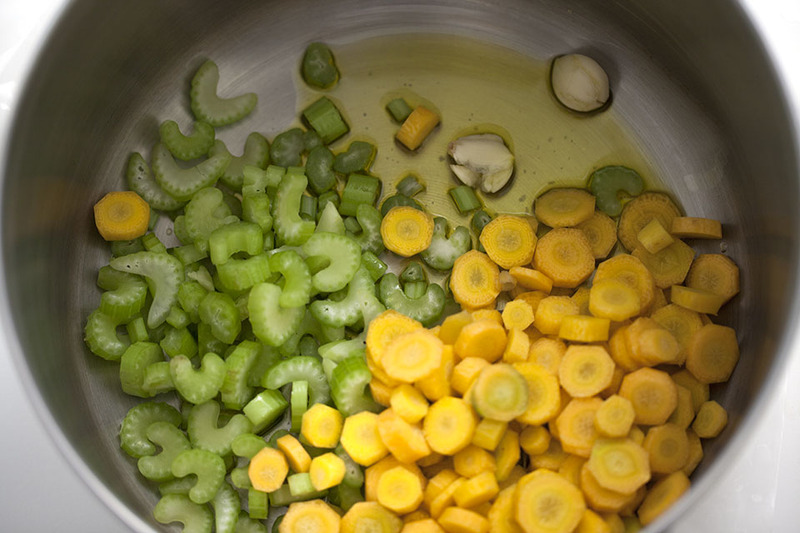 In a medium stockpot, warm olive oil and add carrots, celery and garlic when ready. 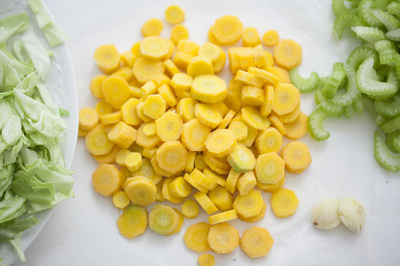 Sauté vegetables for 5 minutes then add coriander, cilantro and cook, stirring, for 1 minute. 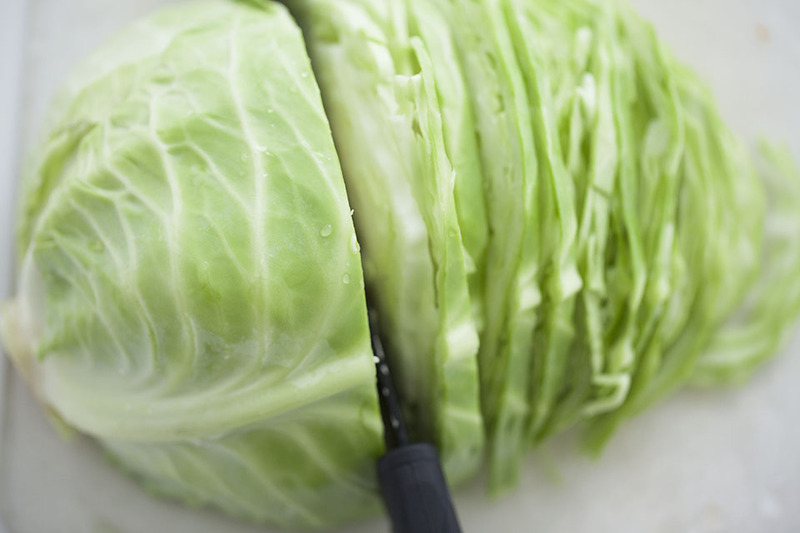 Add cabbage, salt, pepper and continue cooking, stirring frequently for about 5 minutes, until slightly wilted. Pour in stock, bring soup to a boil, and simmer for about 15-20 minutes. 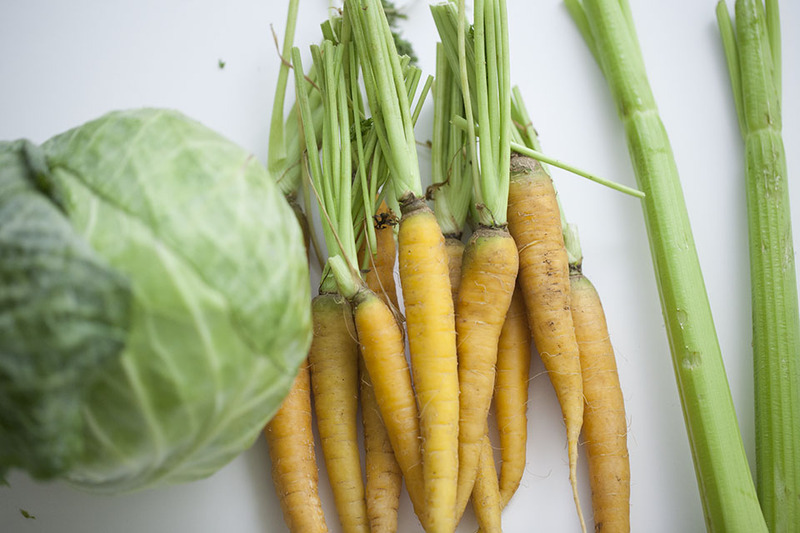 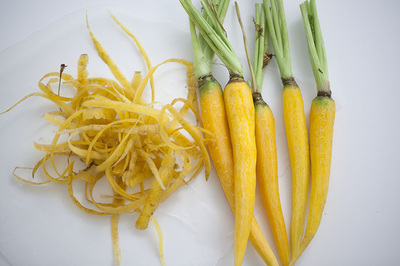 If you use aged carrots and cabbage you will need to increase cooking time.